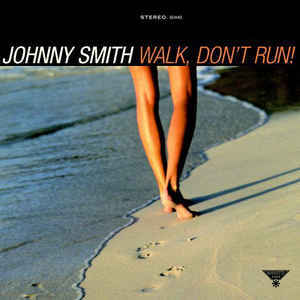 "Walk, Don't Run" is an instrumental composition written and originally recorded by jazz guitarist Johnny Smith in 1954. Walk, Don't Run was written by Smith in 1954, who was inspired by the song 'Softly, as in a Morning Sunrise 'by Romberg and Hammerstein. Smith, a jazz musician, composed Walk, Don't Run as a contrafact, using the chord progression from Softly... as the basis for his melody, which he keyed in D minor. Smith included the piece on his 1954 album In A Sentimental Mood using a title chosen by his producer, Teddy Reig. 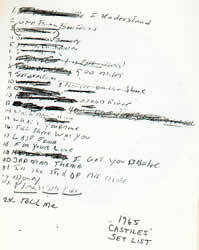 It was also on Smiths 1956 album, Moods. In 1967, Johnny Smith recorded a new and more up-tempo arrangement with Hank Jones, George Duvivier, and Don Lamond on his album Johnny Smith's Kaleidoscope.